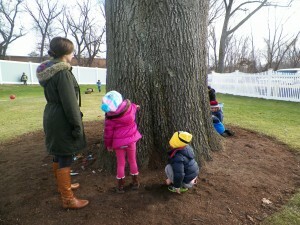 Learning Brooke provides Explorers of all ages with safe, fresh-air opportunities to stretch, climb, run and jump. Quiet, shaded spots also allow for personal time and space. Outdoor spaces include three separate playgrounds, a large green space and a community garden area.